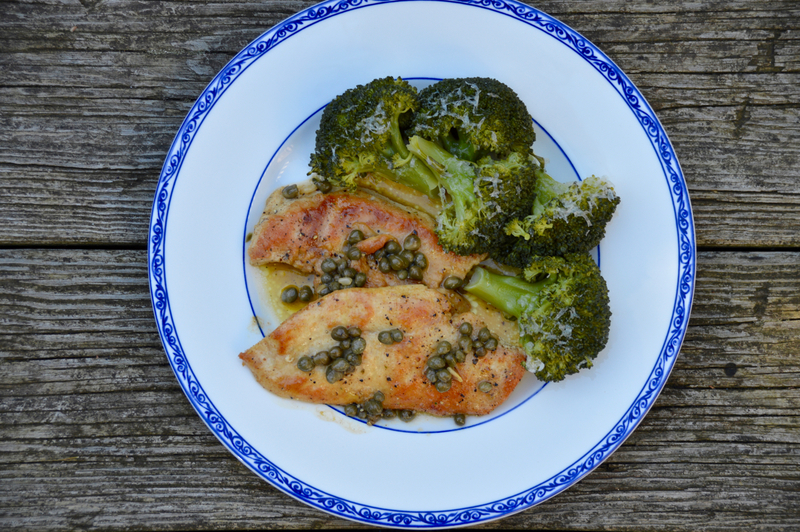 Chicken piccata is one of those super easy dishes you can throw together in about 30 minutes on a busy weeknight, or make ahead of time for those days when cooking is out of the question. I love to serve mine with steamed broccoli and brown rice and drizzle that delicious sauce over everything! A piccata sauce is simply the pan drippings from cooking the chicken, a little broth, lemon juice, butter and capers (those alien looking things pictured below). 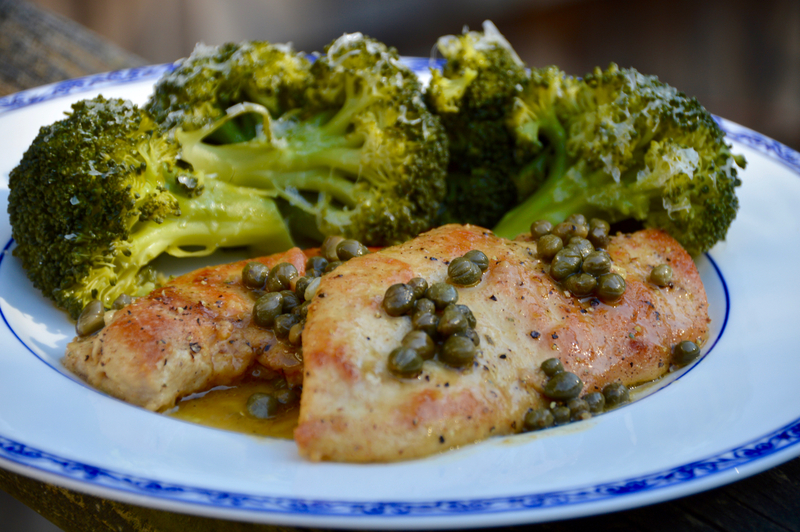 Capers are integral to this dish because the brininess of them packs a real punch of flavor into the sauce that you won't get from anything else. I wouldn't recommend eating them straight out of the jar, but once they've cooked down you they're great to eat. So you might ask, what is a caper anyways? 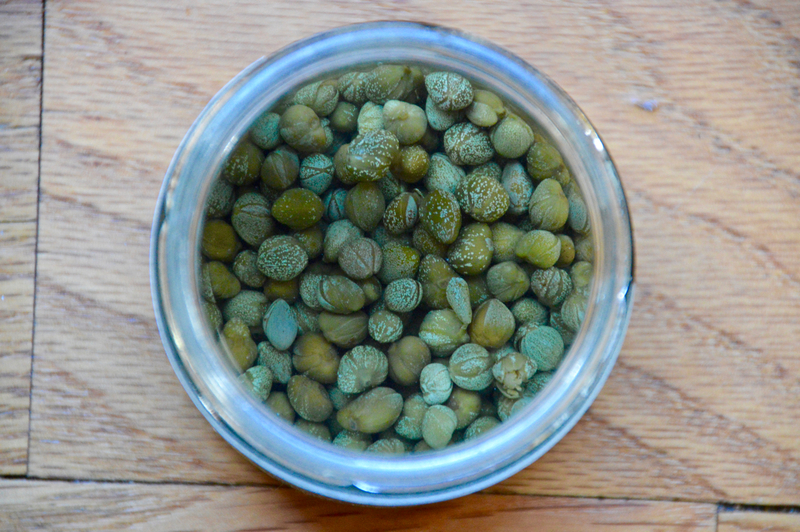 The answer is this: Capers are the pickled flower buds of a thorny, trailing shrub that grows like a weed all over the Mediterranean, hence why capers are found in many Mediterranean dishes. Weird as they might look, they are best in a chicken piccata sauce. Make this ahead of time or throw it all together in under 30 minutes! I hope you enjoy it as much as we do! Sprinkle chicken cutlets with whole wheat flour on both sides, then salt and pepper. In a pan, drizzle olive oil and heat pan to medium-high. Transfer chicken to heated pan and let each side cook for about 5 minutes. Cover the pan during the cooking to avoid splatter going everywhere. Once chicken has cooked on both sides, remove from pan and add broth, lemon juice, capers and butter, scraping up the pan drippings from the chicken as well. Bring that to a simmer, then add chicken back in and cover for 5 minutes. Taste for salt and pepper and add if needed. Serve chicken with a spoonful of sauce and pair with steamed vegetables and rice.